LD OnLine busca ayudar a niños y adultos a alcanzar su máximo potencial proporcionando información y consejos precisos y actualizados sobre las dificultades de aprendizaje y el síndrome del déficit de atención. We bring the best research-based strategies to teachers, parents, administrators, librarians, childcare providers, and anyone else involved in helping a young child become a strong, confident reader. Provides thousands of free pages with social skills and behavioral regulation activities and guidance, learning songs and games, communication cards, academic material, and transition guides for employment and life skills. The National Association of Parents with Children in Special Education (NAPCSE) is an association that is dedicated to ensuring that all children and adolescents with special needs receive the best education possible. NAPCSE serves the interest of parents with children in special education by giving them numerous resources within the field of special education. Dedicated to promoting solutions, across the spectrum and throughout the lifespan, for the needs of individuals with autism and their families through advocacy and support; increasing understanding and acceptance of people with autism spectrum disorder; and advancing research into causes and better interventions for autism spectrum disorder and related conditions. The goal of this resource is to empower parents to be the best possible advocate for their child. 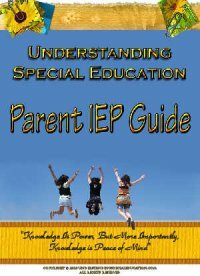 I hope to provide you with the most parent friendly information on special education law, learning disabilities, the IEP process and school success. Children and Adults with Attention-Deficit/Hyperactivity Disorder (CHADD), is a national non-profit organization providing education, advocacy and support for individuals with ADHD. The mission of NCLD is to improve the lives of the 1 in 5 children and adults nationwide with learning and attention issues by empowering parents and young adults, transforming schools and advocating for equal rights and opportunities. Resources on the complex childhood anxiety order of selective mutism characterized by a child's inability to speak and communicate effectively in social settings.